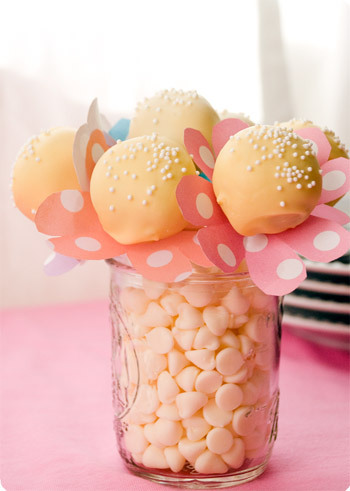 Instead of decorating your Spring table with real flowers, try these paper flowers and cake pops like these from Penny Candy Studios. 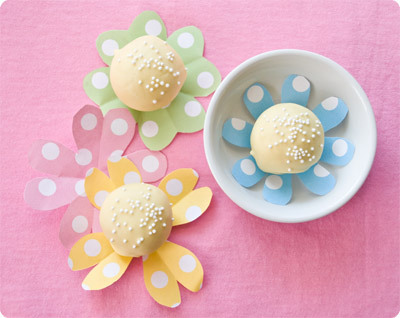 You can get the template for the paper flower HERE, but you have to bake your own cake pops. I will make this for you as a thank you for taking me with you to KY.